Siete7, LLC, oversees the operational management of hundreds of thousands of square feet of office space located in a four-building development known as Commerce Centre at O’Hare. Under Siete7 direction, each building has professional management dedicated to fulfilling the business needs of its tenants. If you are in the market for highly functional space that can be built out to meet your goals, contact Siete7, LLC, for a confidential discussion. Located at the Lee Street interchange of the Kennedy Expressway (I-90) immediately north of Chicago’s O’Hare International Airport, 999 East Touhy is part of a four-building development known as Commerce Centre at O’Hare. Siete 7, LLC Operates and manages 999, 1111 and 1011 E Touhy Ave properties. 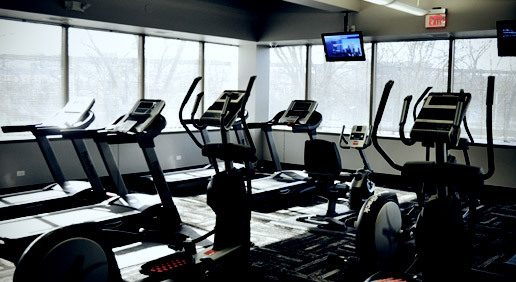 Our new fitness center is located on the 1st floor on the west side of 1011 East Touhy. In order to access this new facility, a registration and a membership payment is required. To register please contact Carla Soldera at 773-272-0716. Please see the Amenities page for more info. The amenities of the buildings are numerous, including a conference room, two delis with seating, and abundant surface parking. A key-card system for after hours access has been installed for tenants' safety and convenience. 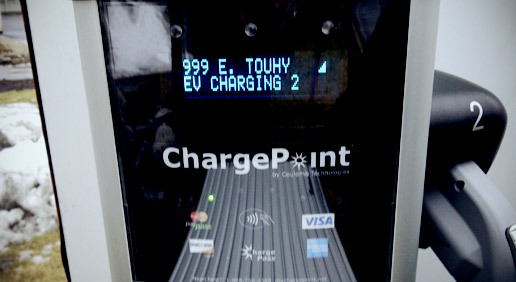 We have installed a Coulomb Electric Vehicle Charging Station to charge up your electric car. See the Amenities page for more info.